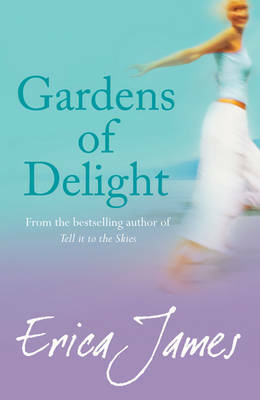 I wouldn’t normally go out of my way to read a romance novel, but when I heard that Erica James had won the Romantic Novel of the Year award in 2006, I decided it might be worth a try. It was also the only affordable book I could find set in Lake Como, which is where I went on holiday straight after reading it. I was hoping that reading a book about a group of people visiting Lake Como would be a nice way to get in a holiday mood. Unfortunately, I didn’t enjoy the book as much as I had hoped. For starters, the characters didn’t actually spend all that much time at the Lake. Most of the book was set in a small, English village full of nosey neighbours and where the social highlight of the week is the local Gardening Club meeting. As you can imagine, the book doesn’t get much more exciting. The twisted love triangles in the story are conventional and lack any reality. The main characters are not unlikeable but they are tame and I found most of their problems quite tedious. While reading, I felt as though I had accidentally picked up the script of a bad soap opera. I had hoped for a more passionate love story, which I’m sure Erica James was probably aiming at, but missed the mark. I also found the unnecessary habit of referring to every character by their full name very irritating. The parts of the book that I was looking forward to, at Lake Como, were quite interesting and I actually managed to visit the town of Bellagio, where the characters stayed while on the Gardens of Delight tour. The town is beautiful and it is a shame that it was not described more in the book, instead of descriptions of the hunky Italian pianist at the hotel. I won’t be reading a romance novel again any time soon, but I’m glad I gave this one a go as it was enjoyable in parts and definitely an easy read to get you into a holiday state of mind. I finished reading it in Milan before setting off for Lake Como, and left it on a bookshelf at the hostel. Hopefully someone else will enjoy it more than me!